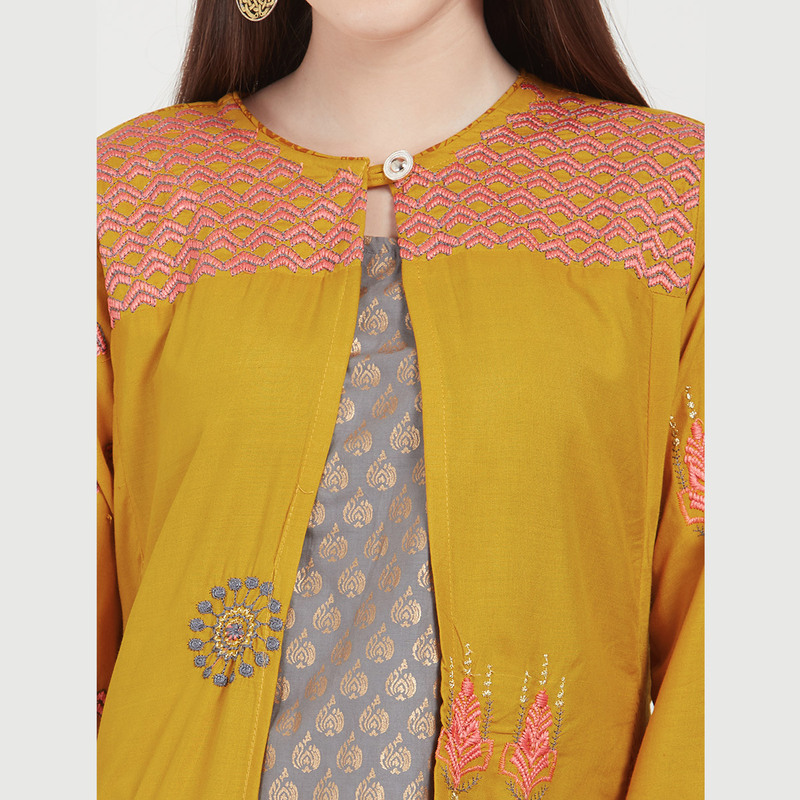 Add more glamour to your style with this pleasant mustard yellow-gray jacket style Kurti. This ready to wear kurti is made of cotton fabric which is lightweight and assures the wearer a perfect fit & comfort. This fancy kurti is beautified with lovely foil print. Comes along with long rayon jacket which has been stylised with attractive prints along with embroidery which makes this kurti perfect for any party. Ideal for party, outings or weekend get-together. Team it with matching leggings, pant style bottoms or jeans, high heels and fashionable accessories to look more attractive. This attractive kurti will surely fetch you compliments for your rich sense of style. Note:- The actual product may differ slightly in color and design from the one illustrated in the images.